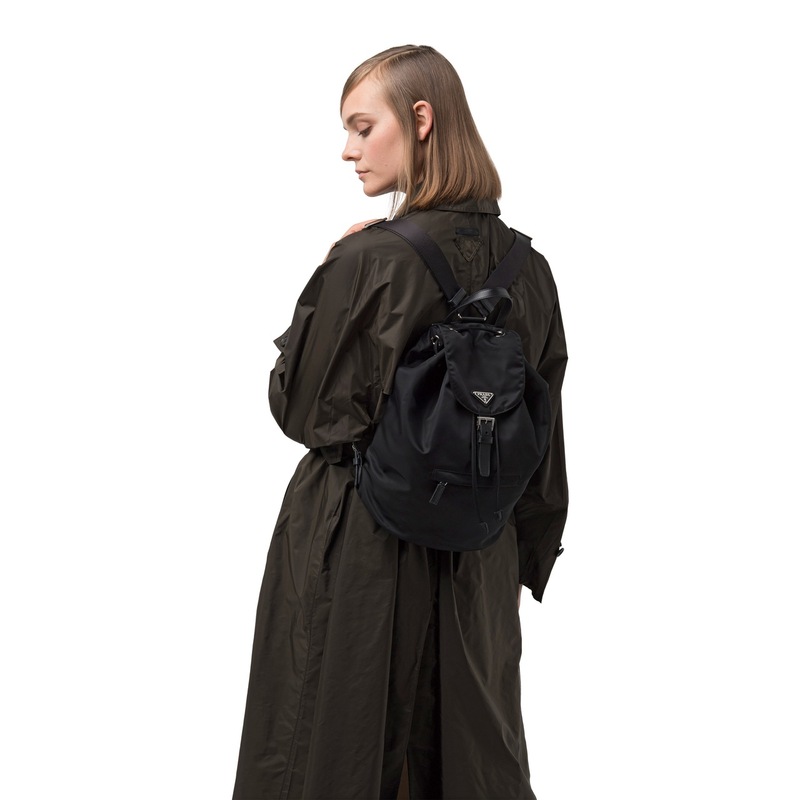 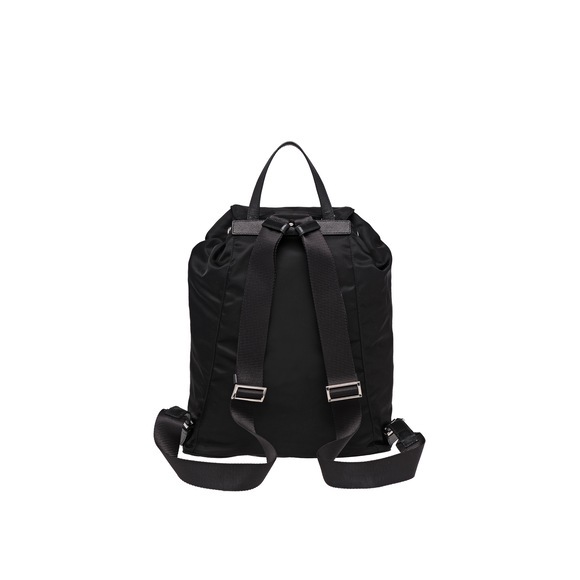 A fabric backpack with a drawstring closure. 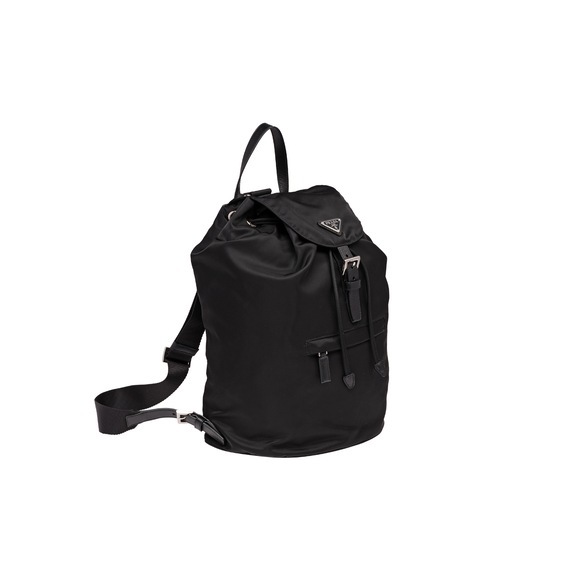 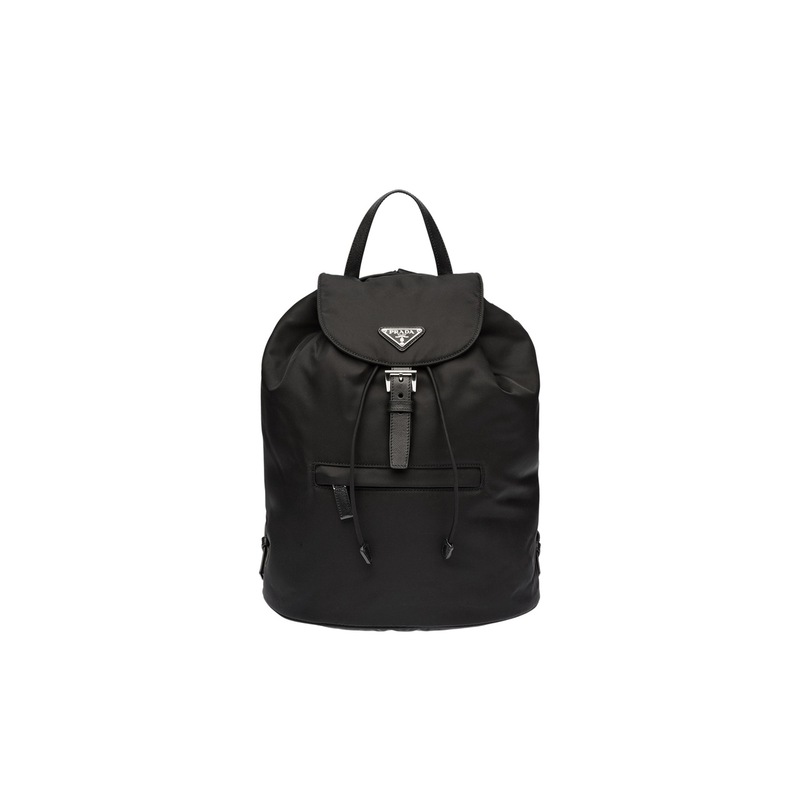 The flap is embellished with the Prada logo and closes with a steel-finish buckle. 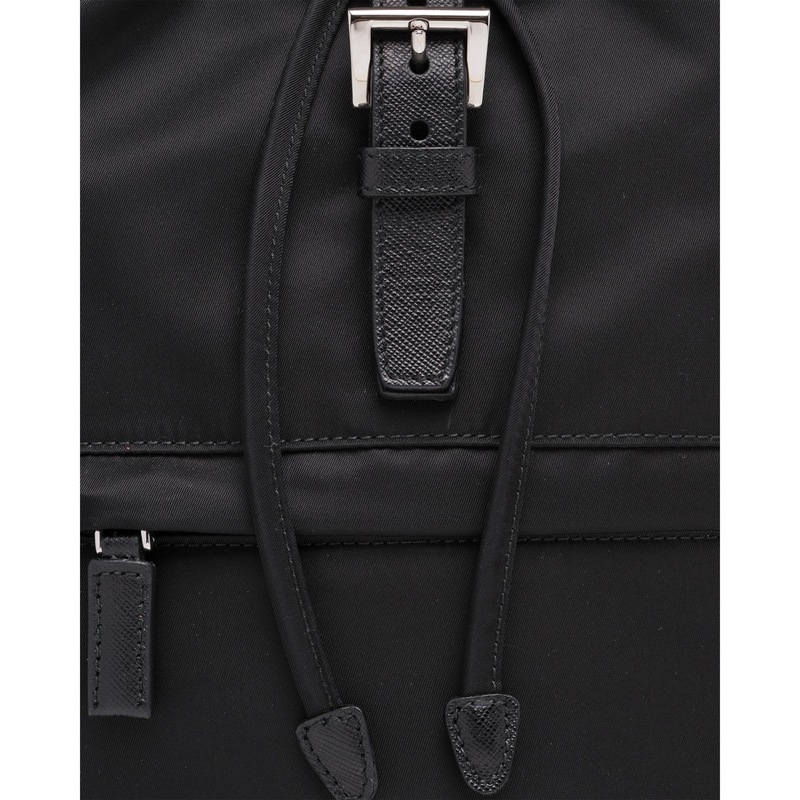 Inside offers a main compartment and a zippered pocket with logo lining throughout.